“I love you Rajan,” she had blurted out, hands clenched tightly at her sides. The novella ‘Girl from Fatehpur’ starts with the protagonist , the girl from Fatehpur, Sanjana(or Sana for family and friends) returning to her roots almost four years after the tragic death of her parents to attend the marriage of her cousin Renee in Fatehpur. Trying to find solace and answers from her sister Devika and to escape from her city life in Mumbai, Sanjana lands nearer home. where she meets Rajan , her childhood crush. As the days progress and as Sanjana begins to enjoy her holidays, Krish comes for her from Mumbai. Will sanjana decide what is correct for her? Does she dare to follow her heart and not succumb to pressure? Rajan’s mother bends her own rules, when she is ready to accept a Rajput bride for her TamBram son Rajan. But is Rajan ready? Still a ‘Girl from Fatehpur’ ,will Sanjana accept his unique proposal? The setting of a marriage where romance unfolds, is too good to be true. Devika as the understanding sister, Zora – a friend forever ,are Sanjana’s rock solid supports.Dadima who is forever trying to get Sanjana married and who teaches her that ‘Patience is a virtue’. Sanjana- the dimpled Rajput girl; Rajan the TamBram childhood crush of Sanjana and Krish , the most eligible bachelor in the marriage market form the love triangle. This one is a fast read;easy language and the setting add to the beauty of the novella. A romance novella should ideally be enjoyable and easy to read on the mind. 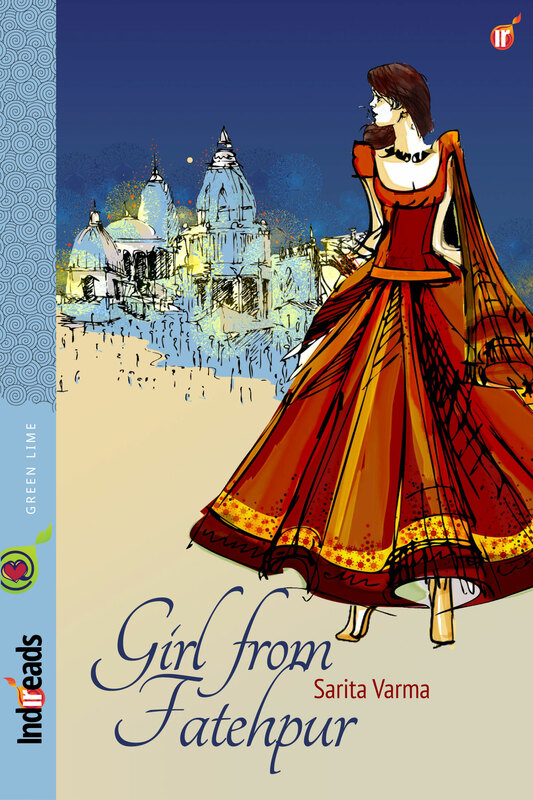 This is certainly what Indireads author, Sarita Varma’s Girl from Fatehpur is – a light romance peppered with expression of Indian culture. The context of the ‘Big Fat Indian wedding’ is used cleverly to spin Sanjana’s romantic tale or rather, tales. She is the ‘girl from Fatehpur’ as the title says. The story starts with her escape from a rather unexpected proposal in Mumbai by her colleague at work, Krish. As she heads home, she finds herself reuniting with Rajan, her teenage crush and neighbour who has returned from the United States for business matters. Varma’s inclination towards the ideal Bollywood-kind romantic moments is clear as Rajan and Sarita find themselves together on road trips and unexpected confessions in the course of Sanjana’s cousin’s wedding at her family home in Fatehpur. Her characterisation of Krish and Rajan as two unrelenting suitors adds the necessary bit of humour to this romance. Yes, Krish also makes an unexpected entry into the wedding scene! Hence, readers will enjoy the growing suspense and share the growing dislike towards Krish with Sanjana. What then remains is the question of how and whether Sanjana and Rajan will be able to confess their love for each other. Moreover, the reader is intrigued whether Rajan, who is against marriage, soften under his love for Sanjana, who is very much the ‘small-town girl’ at heart? South Asian readers will be familiar with descriptions of the wedding, and those of the cultural milieu. Varma does a good job of keeping language simple which makes the novella a light read. The characters too aren’t too much and the plot is easy to follow. Zoya and Devika are very suitable assistants for the damsel-in-distress, Sanjana. Perhaps a few readers familiar with South Asian writing may find the concept of the Indian romance cliched. My advice for them would be to enjoy the plot as it goes! It is a short and sweet novella about a girl who’s stuck between her childhood crush and her self-centered office colleague who’s in love with her and her dilemma in selecting between the two. romantic conversations, subtle humor, varied feelings and joint family culture. nice read. I loved the way the author has developed the characters and described their feelings. The language and flow are good and the story is very sweet. She has described the joint family culture in India and also the feelings of the characters. The book leaves a sweet taste in the mouth and a smile on the lips. An unputdownable book. I enjoyed the simplicity of the story and the flowing narrative though a longer format may have been better. Sanjana is immediately likeable and Rajan intriguing. The minor characters too are well etched, especially sensible and caring cousin Devika and light-hearted and trusty friend Zoya. These are characters so familiar that they seem like old friends. All in all, a good read. The eternal love triangle is dealt with simply and sympathetically by the author. What adds flavour to the novella is the effective use of language in describing essentially Indian locale, characters, situations so that the reader immediately identifies and connects. The author has dedicated her book to her grandparents, specially her grandmother whose style of narration seems to have inspired her to tell the story. The background is immediately authentic with the descriptions of the crowded second class coach in the train to Fatehpur, rickety cycle rickshaw and old ambassador car so typical of small town India. The time available between the ‘flight’ of Sanjana from Bombay to Fatehpur to find solace in the cushion of her grandmother’s lap, is perfect to describe the locale of the hinterland of UP, where most of the action is taking place. The chapter on Kumbh Mela adds a touch of the exotic. The author’s description of the rituals and social events of the wedding are so vivid as to make the reader feel a participant. Something holds back Sanjana from accepting her colleague, Krish’s marriage proposal. The mystery becomes clear when childhood ‘crush’ Rajan enters the story and the author cleverly gives a glimpse of his character; ‘ONCE A GENTLEMAN, ALWAYS A GENTLEMAN’, because he always gave the gardener’s son a fair chance to bat. 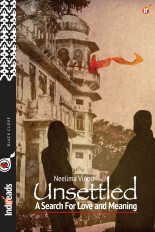 The author effectively uses the family wedding and also the Kumbh Mela to introduce the reader to the back ground of Sanjana’s upbringing and how in the hustle –bustle of the preparations for the rituals, different characters behave under stress and strain in meeting deadlines. Krish’s essentially selfish nature gets exposed here. Caste divide is important especially in conservative families. The author uses the technique of ‘flash back’ to recollect a conversation which Sanjana had with her cousin . Rajan , a South Indian Brahmin, may not have met with approval as a likely husband for a Rajput girl a decade earlier but times are changing, even in old fashioned Fatehpur! Sanjana’s Dadu has mellowed over the years and her beloved Dadima is eagerly watching the love story unfold. Sanjana’s return to Bombay where Krish is waiting in the wings brings the story to a pulsating finish. Will Rajan let her go out of his life? Read this simple love story to find out. Sarita Varma’s beautiful flow of narration should attract a wide range of readers who love a good story. When I was asked to review a romantic novella, I was not much interested in reading yet another book of this genre. Although ‘Pride and Prejudice’ still happens to be one of my all time favourites but then it is ‘Pride and Prejudice’, a different class where everything from characters, situations to feelings are dealt with utmost care and aestheticism. Unfortunately the new age romance novels are not considered complete without some dose of those ‘scenes’ in them. I have a big grouse that innocent and decent romantic stories are hard to find. But ‘Girl From Fatehpur’ was like a whiff of fresh air which contains all elements to bring a pleasant smile on a reader’s face. I always maintain that a story can aim to make an impression on readers if it offers something new either in terms of plot or in the execution of the same. If neither of these get satisfied then readers feel cheated. Sarita Varma’s story excels in the execution category. It is a simple story of a small town girl Sanjana, who is now working in Mumbai. She happens to be the point of adoration of one of her seniors Krish who proposes her for marriage. But something in Krish does not make Sanjana feel the way she wants to. Before committing herself to a relationship with Krish, she wants to give herself some time to think it through. A family wedding comes as a perfect escape to distance herself from expectant eyes of Krish for sometime. There she happens to meet Rajan – a childhood friend and a neighbour. As a young teenager she had nurtured some tender feelings for Rajan but Rajan was at the threshold of giving wings to his life in the promising land of US. Back in Fatehpur, during the marriage preparations there are ample situations in which they are thrown together and this gives them the chance to know each other better. But do they really know each other better now? Does Rajan muster the courage to overcome his fear of commitment which he had inadvertently developed seeing failed marriage of his parents? Would Krish be able to woo Sanjana in the wedding itself? The marriage commotion, various preparations, the kumbh mela, all add beautiful colours to the narrative. Sanjana is portrayed as a pretty, loving and simple girl with her head rightly placed on her shoulders. Rajan is a doting friend to Sanjana and is clearly in an unfamiliar situation when he confronts his own feelings. A commitment wary person, Rajan finds himself at loss of words when he is pitted against Krish. The impeccable and lucid language and taut editing – deserve special mention. Language is perfectly balanced, neither unnecessarily flowery nor low on adorning the proceedings appropriately. The characters are neatly created and developed. A feel good story that would leave readers with happy and pleasant feelings. Perfect for short, fun light-read. Will somebody make a bollywood movie out of this. Please!!! A romance that captures the essence of India. The magic of that wonderful country lives in every line in this book. A superb romance, this title is guaranteed to satisfy you! It’s a lovely story woven together in well written English by Sarita Varma. I enjoyed the building up of relationship between the main characters. The wedding scene, the Kumbh Mela and the car ride taken by Rajan and Sanjana to Fatehpur make for an interesting read. The love triangle between Krish, Sanjana and Rajan keeps the reader hooked till the end, hoping that she would land up with the right man. Congratulations Sarita Varma! Way to go! Looking forward to more from you! Sarita Verma’s Girl from Fatehpur is a potpourri of all things Indian – a teenage crush silently nurtured through the years, a simmering romance kindled with just glances and faint touches, the confusion of a heart to choose between the ideal and the true love. All set in the backdrop of the big fat Indian wedding. 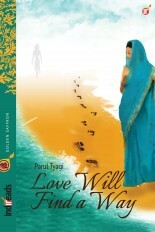 Sarita’s expertise in the language shines through her words, woven seemlessly into a very Indian love story. The very first paragraph of the novel, where Sarita describes the landscape through with Sana’s train passes is enough to hook the reader into an engaging story, that holds the reader’s interest right till the last word. A must read for all those who love Bollywood style wedding romances. 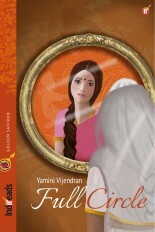 Sarita varma’s ‘Girl from Fatehpur’ is a beautiful romance that captures the very essence of India. Sanjana is on her way to Fatehpur to attend a wedding where she see meets her childhood romance Rajan. As they slip back into the familiarity of their roots, Krish makes an entry. Krish is Sanjana’s colleague from office and wants to marry her. Even as both the guys, circle around trying to woo her, Sanjana needs to decide whom she wants to marry or not. 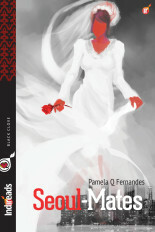 I loved the easy style of Sarita’s writing and her descriptive verse paints the most vivid picture of Sanjana’s world. This is a beautiful tingling romance. A must-read. A delightful story told in such a spontaneous manner. Loved the flow and the characters. Sarita Varma’s Girl from Fatehpur is a romance which transcends the Mills & Boon genre as well as a great deal of the Indian “chick-lit” genre by virtue of the fact that Sarita writes with such assurance and ease, using language in a manner that only a book lover can. Familiarly and firmly entrenched in the India she knows so well, her novella is entertaining, engaging and refreshing. Sarita’s comfort with language is evident in every page, as is her love for her characters. The descriptions are lovely, from our heroine, Sanjana’s musings during a train journey, to her time at the Kumbh Mela with the handsome, warm, yet somewhat elusive Rajan, her childhood crush. Impulsive Sanjana and gorgeous Rajan are, of course at the heart of this story, their childhood friendship now continuing in a relationship that is full of warmth and laughter, yet, at another level, with much that is unspoken and uncertain. The ready array of accompanying characters, major and minor, are delightful, and they make their presence felt without compunctions – a young mother with a wriggling baby on a train, Sanjana’s friend Zoya, her persistent and exasperating suitor Krish whom Rajan cannot abide, her Dadi, the hospitable Aggarwals with whom our impetuous Heroine spends a night, and many, many more. Hearing the characters talk is like listening to familiar people in our families and neighbourhoods; the author has an unerring ear for the way middle class Indians (of various generations) speak and interact. It is all of this, which carries Sanjana and Rajan’s romance from beginning to end. Of course we wonder what this warm-hearted yet unpredictable young man wants of Sanjana, and yes, we know that the path of young love is inevitably fraught. Naturally we want misunderstandings and anger to dissolve and for them to fall into each other’s arms. And how could we not know that they eventually will? Yet, what gives substance to their love story with all its accompanying longing, uncertainties, misunderstandings, turbulence and joys, is the quality of Sarita’s writing and her unabashed enjoyment of her narrative and characters. That it is a love story so naturally and intrinsically connected to friends and family – as is inevitable in India – gives this story its flesh and blood.